There is no replacement for live theater, especially if you happen to live in Georgia. Atlanta is known as a hot spot for show business, but rest assured there are plenty of other places in Georgia to catch a live stage show. From dinner shows and plays to comedic performances and Broadway musicals, these 10 best places for live theater in Georgia are packed with some of the entertainment in the state. One of Atlanta’s most notable icons, the Fox Theatre is a masterpiece in itself. The stage has seen the likes of famous musical talents from all genres, as well as musicals, plays, tribute bands, ballets, comedy acts, and television performances. They also feature ghost tours of the theater around Halloween to pay homage to its long history. This beautiful theater is an established part of the city’s history, dating all the way back to 1818. Tribute bands, musicals, and other shows have been known to take center stage here. Some of the stars who have made appearances here include WC Fields, Oscar Wilde, Julia Marlowe, and Sarah Bernhardt, to name a few. Located in one of the largest cities in Georgia, this old opera house delivers plenty of modern acts, including Broadway productions and musical performances. Opened in 1884, the venue once had the largest stage in the southeast. Burlesque and vaudeville acts dominated its shows, and the building was once in danger of being destroyed after it fell into disuse. Public outcry saved it, and it now continues to thrive as a site for live theater. Seats are in! Carpet happening now. Only thing missing? YOU! Get your tickets to any of our upcoming shows by visiting the link in our bio. Located in one of the premiere districts in Atlanta, the Buckhead Theatre is the city’s most intimate venue featuring some of the biggest names in show business. Formerly a movie house, the site now plays host to comedic performances, musical acts, Broadway productions, comedy, and even private events and public lectures. Shakespeare is often synonymous with live theater, and Atlanta has an entire venue dedicated to his works. Here you can watch top-notch performances on some of the most famous Shakespearian plays. With only 200 seats in the entire theater, it’s easy to feel like you’re a part of the action. 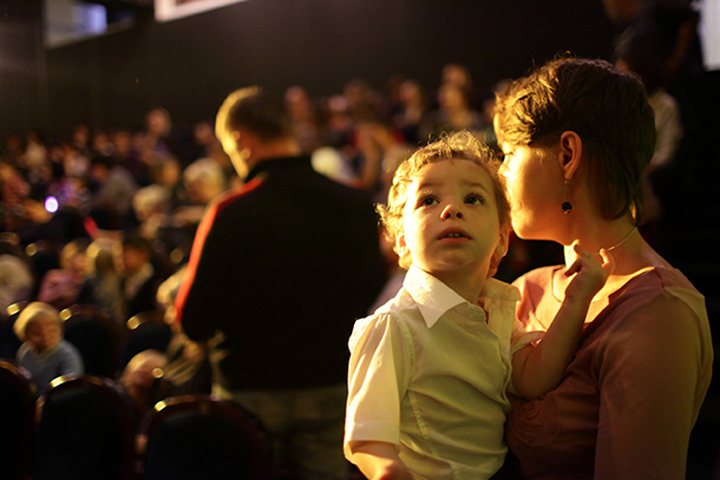 Enriching lives while having fun, this theater has a community mission. Aside from live performances, they are heavily involved in community outreach and education, spreading the love of music and theater to audience members of every age. Their new theater brings audiences closer to the stage than ever—there’s never a bad seat in the house! This theater has seen its share of purposes throughout the past century, having served as a movie house, music store, hotel, furniture company, and even a Sears Roebuck store. However, now it’s strictly a venue for live performances, particularly musical acts from emerging and established musicians. The building was devastated by a fire, but community spirit ensured it would be rebuilt better than ever, and their dreams came true. Eclectic doesn’t even begin to describe the fine showmanship you’ll find at this community theater. The shows are diverse, the acting is on point, and the acting company is engaging and entertaining no matter which show is on the bill. They also host seminars and workshops to pique public interest and help others find their artistic voice. From concerts to plays to movies, there’s a little bit of everything happening here. Housing only 620 seats, the theater is big enough to host quality productions, yet small enough to help you enjoy theater the way it was meant—intimately and actively. Yes, it’s a community theater, but that doesn’t mean big things aren’t happening inside. Their lineup of entertainment often includes the likes of Grammy nominees, famous musicians, and up-and-coming stars, along with productions from the community and larger touring companies alike. What a blast we had this weekend with @mountainheartband in Savannah! Can't wait to see y'all in a few weeks in ATL.